Carl Krausnick is a native of Memphis, Tennessee. Prior to enrolling at W&L, he attended Southern Methodist University in Dallas, Texas where he studied Philosophy and Art History. 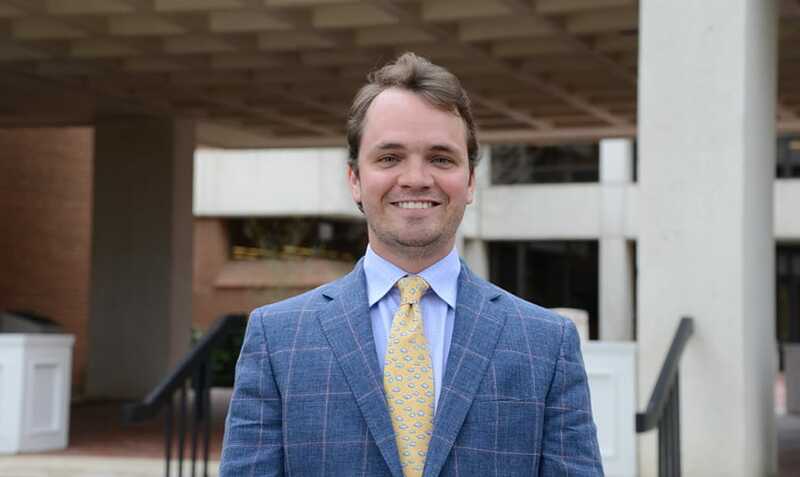 At W&L, Carl has served as his Student Bar Association class president for three years. As a 2L he was selected to be a Kirgis Fellow, and he has served on the Powell Board the past two years. After graduation I’ll be working for Glankler Brown back home in Memphis, Tennessee. Last summer I worked there assisting both the litigation and transactional attorneys. When I entered law school I knew that I wanted to work for a firm. Interning for a firm in college crystalized that goal. As a 1L, I considered seeking out jobs in different locations such as Nashville or DC. Ultimately I spent that summer in Memphis working for a firm and a judge and knew that I wanted to end up back there, as home is home and the legal community there is excellent. Based on my experience, I decided that a mid-size firm was the best fit for me. So, Glankler Brown was a perfect fit based on both its size and location, and I thoroughly enjoyed my previous summer with the firm. Once I knew I wanted to return to Memphis I simply needed to find a job there. Fortunately, I had a great opportunity last summer and it paid off. While the job search is stressful, the faculty and administration do a great job guiding students toward their individual goals. What classes do you think are helpful to take to prepare for a your law firm job? With the benefit of hindsight, I would have taken more transactional courses. But, overall, W&L does an excellent job structuring a curriculum that forces students to engage in legal areas they may not have otherwise sought out on their own. Many students enter law school dead set on working in a specific practice area but end up falling in love with that area’s diametric opposite. In addition to the classes, the school offers a variety of competitions in both transactional and litigation areas that give students the opportunity to apply their knowledge in a simulated legal environment.